It is Friday, so it is time to jot down some Friday favourites, because it’s always good to find the positive. 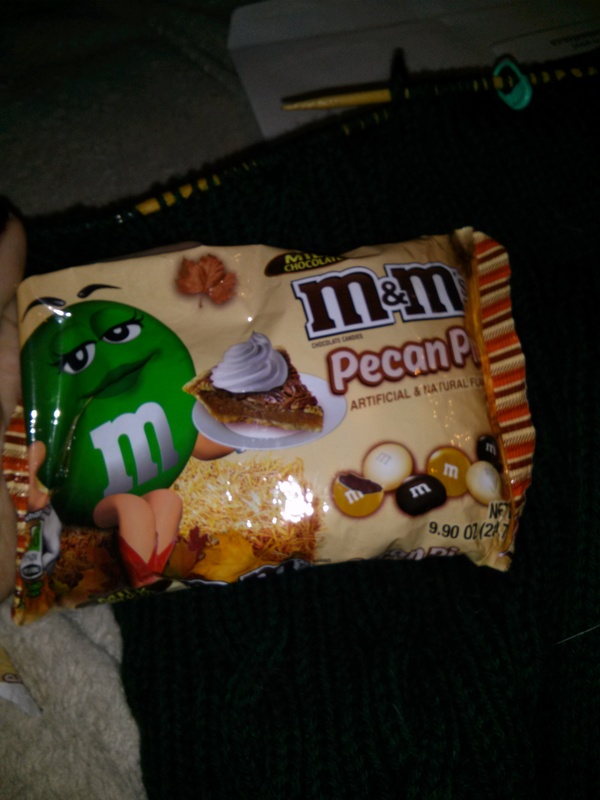 My mom likes to bring me seasonal treats, and I have a major weakness for M&Ms. These were a bit sickeningly sweet at first, but I persevered and polished them off! 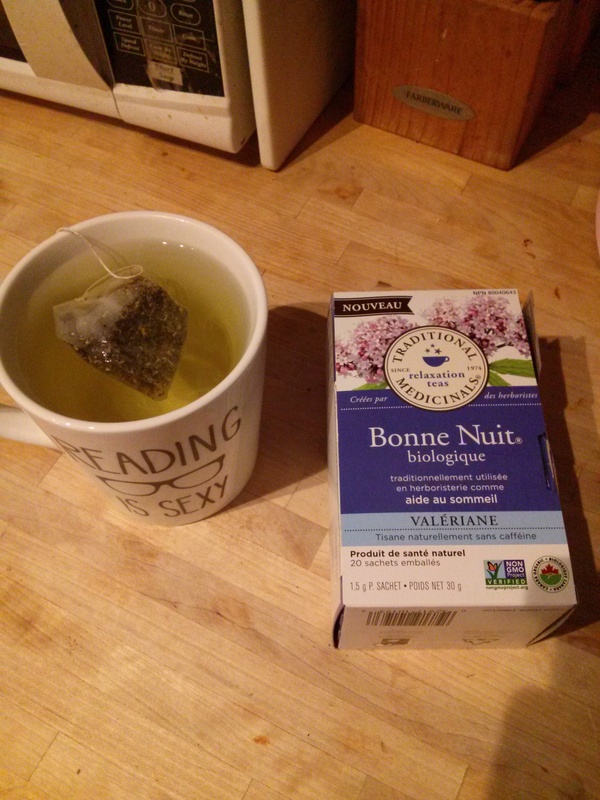 Joaquin wanted to find a tea to help me settle and sleep at night, so he picked up this “Good Night” for me at the natural food store. It tastes really good, and seems to be helping! I have been feeling a bit down for the last little while, and it got much worse this week. I decided to just blog about it and try to get my thoughts out to see if that would help, even though I felt really vulnerable and was afraid to admit any weakness. While I’m not back to myself, I do believe that writing it out helped, and the encouraging comments also helped immensely. I’m dressing up a bit for work tomorrow. Initially I was going to just wear this headband, but then I picked up a few other things to wear. 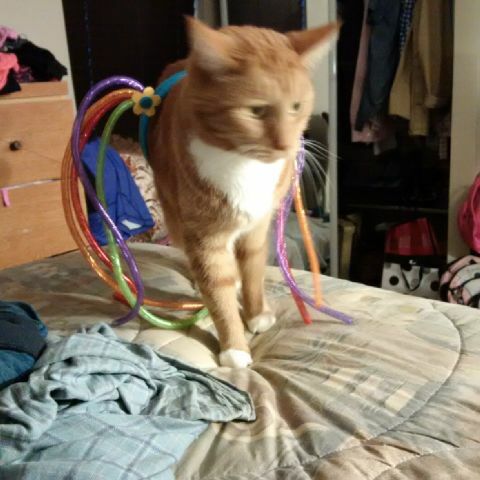 I didn’t want the headband to go to waste, so I put it on the gingercat. 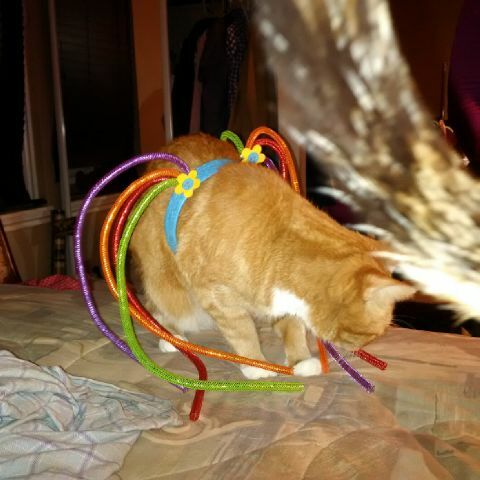 He was not super impressed, but I thought it was pretty great. My friend loaned me two bags of books this summer, and I am finally getting around to reading them. I started with the Sally Lockhart books, which were pretty enjoyable. I’ve moved on to another trilogy now, and will report back soon! What are your Friday favourites?